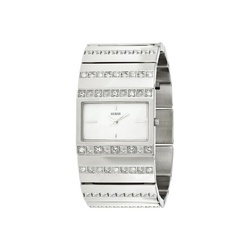 Watch Guess of quartz with 30 mm wide steel case. Mother of Pearl Dial. Steel and stones bracelet.